Be a pet-sitter, earn extra money from home! Be a pet-sitter, get paid! Being a pet-sitter is no longer just something that your kids do for your neighbors when they go out of town. Nope, you can actually get paid for doing this type of work now-a-days. Yep you heard me right, you can actually make a nice, tidy little supplemental income simply by putting your pet caring skills on the market! I confess I found this hard to believe at first but then I remembered that cheesy JLo movie Monster-In-Law.. remember that one? With Jane Fonda being the monster in question and Jlo having a nice half-million dollar little condo right on Venice Beach. So how did she pay for that nice little beachfront condo? She was a dog-walker of course! I remember thinking to myself... really? All ridiculousness aside, while being a pet-sitter will not afford you any pricey beachfront real estate, it can be a nice way to earn extra money from home and if you work often, it could bring in an extra $1,000-$2,000 per month. Not bad, right? 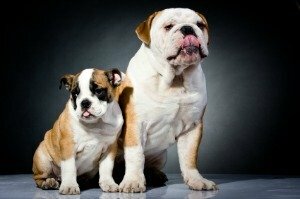 Let's take an in-depth look at one of these pet sitting companies to get an idea of what you can expect. FetchPetCare.com offers pet-sitters, dog walkers and other such services to pet owners throughout the United States. They are always searching for responsible, animal loving people who are willing to care for pets be it for an extended vacation, doggy day care or an afternoon of dog walking. As a pet-sitter/dog-walker, the company states that you will earn about half of the fee that they charge their clients. So for example, as the company charges their clients $55.00 for boarding a pet overnight, then you as the sitter an expect to receive about $27.50 per pet, per night. That can add up really fast. Simply boarding one pet for one week will add up to $192 in your pocket, not to mention that you can board multiple pets in your home at your discretion. As a sitter, you can choose how often you wish to board a pet or take on other duties such as dog walking or pet daycare. Although experience is not necessary, most pet owners will want to know that you some experience in caring for animals. Is being a pet-sitter not your thing? Then check out my supplemental income page for other great ideas on how to bring in a little extra money... from home!